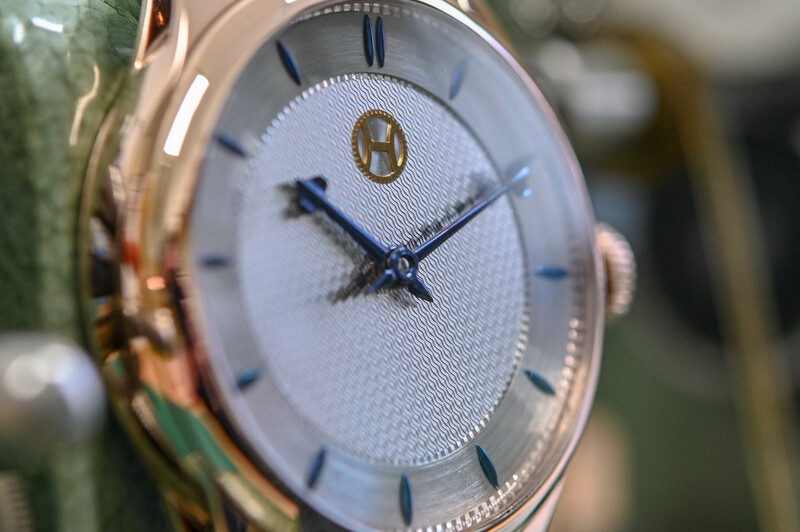 The sky is the limit when it comes to Hulsman's bespoke watches with the client getting to choose everything - including complications. I’m thrilled to announce this news. 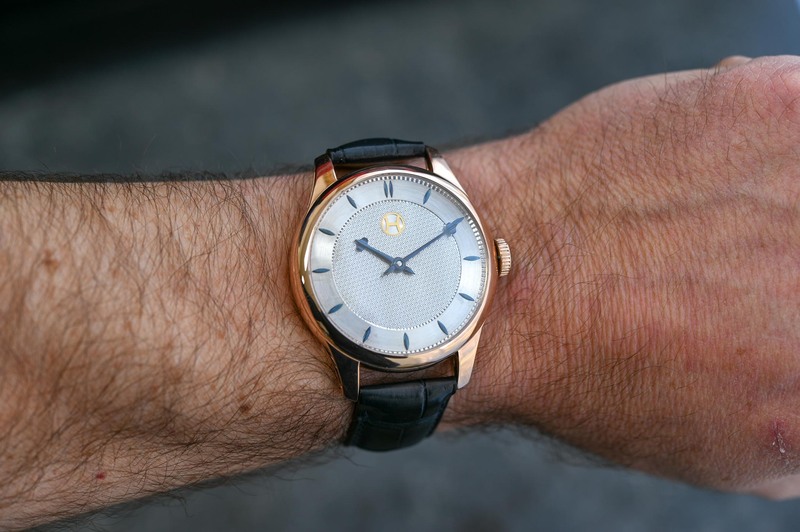 Machiel Hulsman, former IT consultant turned watchmaker, has created the very first entirely handmade wristwatch from the Netherlands. 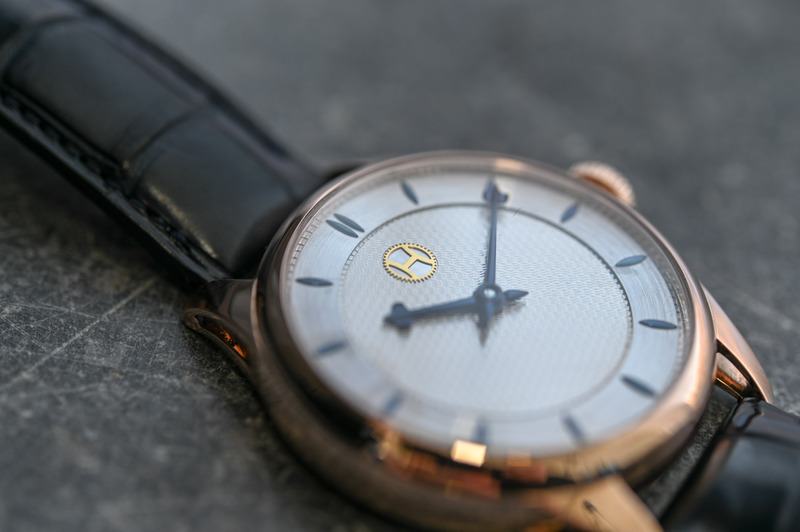 We have the legacy of Christiaan Huygens, the inventor of the pendulum clock, Christiaan van der Klaauw, a watch and clockmaker who created the smallest planetarium (in a wristwatch), and the horological brothers Bart and Tim Grönefeld, who have won prestigious GPHG prizes on two occasions. And now, finally, a watch entirely made in the Netherlands. 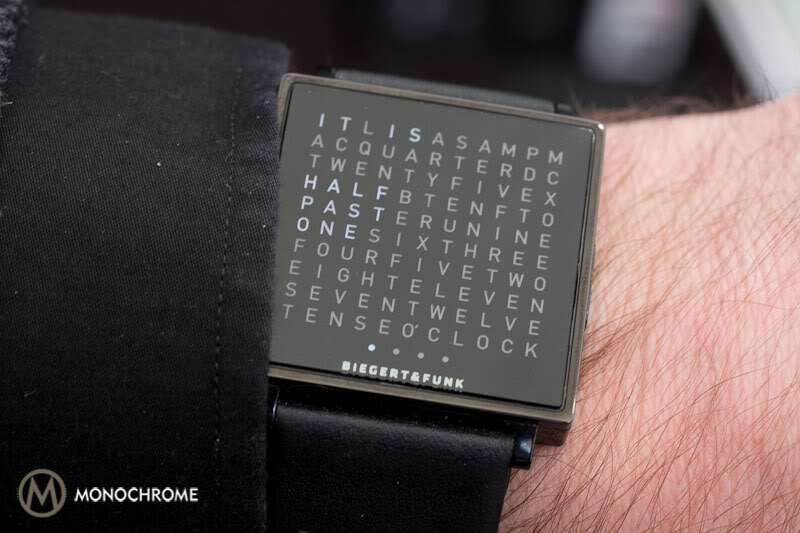 Five years ago Hulsman quit his job and started making his first wristwatch. From scratch! No existing movement, no third-party parts, everything is made in his own small atelier by hand. In these five years, he has learned everything about watchmaking and completed the first fully Dutch handmade wristwatch, the Marie-Elise. When I started MONOCHROME, more than ten years ago, the Netherlands felt like a watchmaking desert. High-end watchmaking was not something you associated with the ‘low lands’. At that time, Christiaan van der Klaauw, member of the AHCI, was probably the only Dutch watchmaker who created his own complications and built his own watches, but always based on standard (ETA) movements. 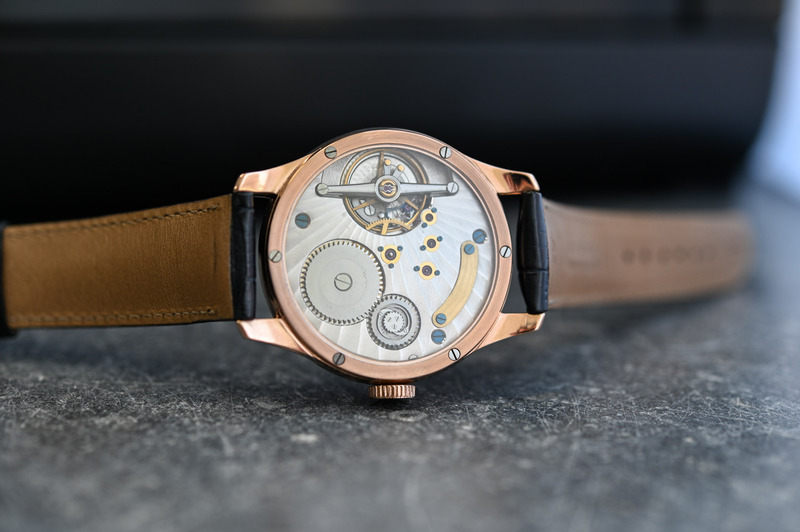 In 2009, Bart and Tim Grönefeld created their first wristwatch, the GTM-06, comprising a tourbillon and minute repeater. 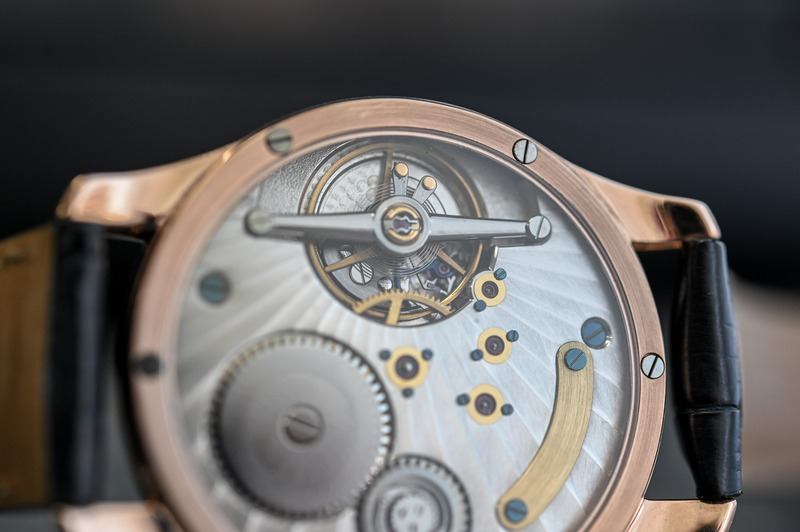 Today, ten years later, they have no less than five self-developed watches, and they won two prestigious prizes at the Grand Prix d’Horlogerie de Genève. We see more and more watchmakers creating their own wristwatches or watch enthusiasts creating their own watch brand. And that’s all pretty cool, as it speaks volumes about the increased passion for mechanical watches! 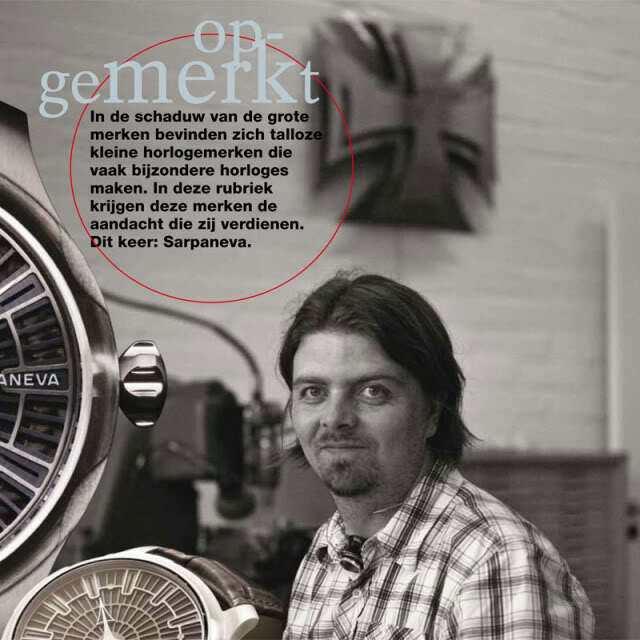 But now, in 2019, the very first handmade wristwatch that is entirely made in the Netherlands is a fact. And that’s more than cool! Machiel Hulsman works in a small atelier, in the Dutch town of Hilversum. Five years ago he decided to make his own watch from scratch. He took some courses at a Dutch watchmaking and jewellery school, which was good for acquiring some basic knowledge. 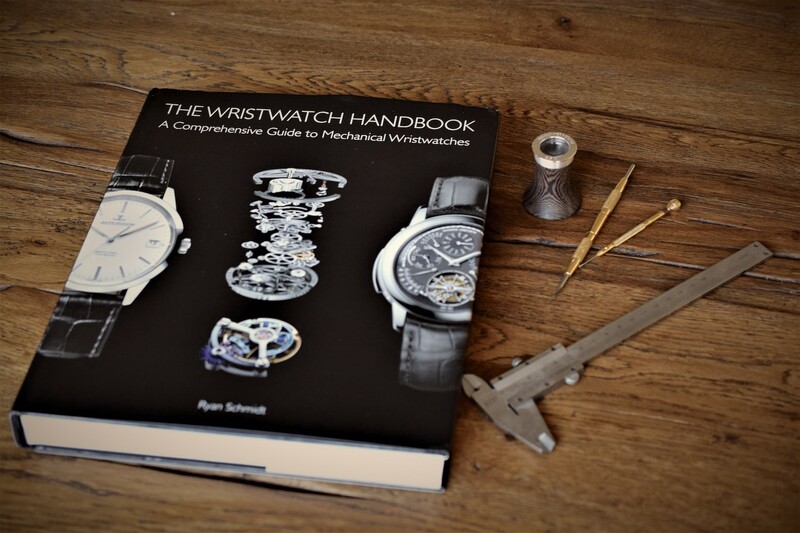 But the knowledge and skills of how to create a wristwatch with your own hands, and some (relatively) simple tools, cannot be learned from a book. Most things had to be learned by trial and error; technical design, 3D designing, knowledge about the materials and of the machines he had to use. It was a long road, but the result is nothing short of spectacular. 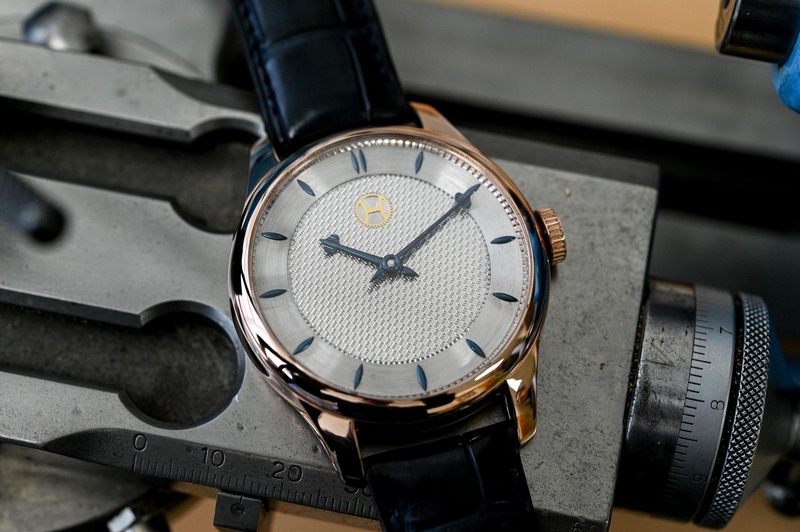 Machiel Hulsman is the Roger Smith of the Netherlands, only he didn’t have George Daniels to teach him how to make his first watch. 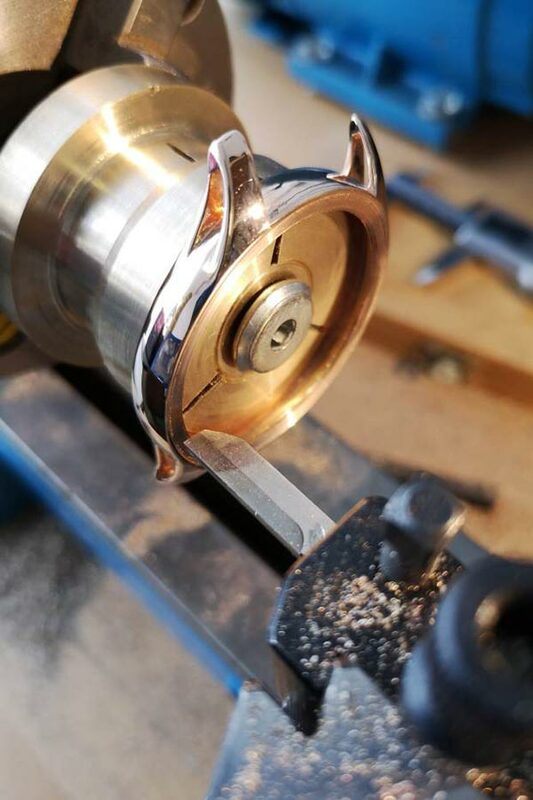 Screws, plates, bridges, springs (expect the balance and mainspring) are crafted by Machiel on an old lathe and turning machines. 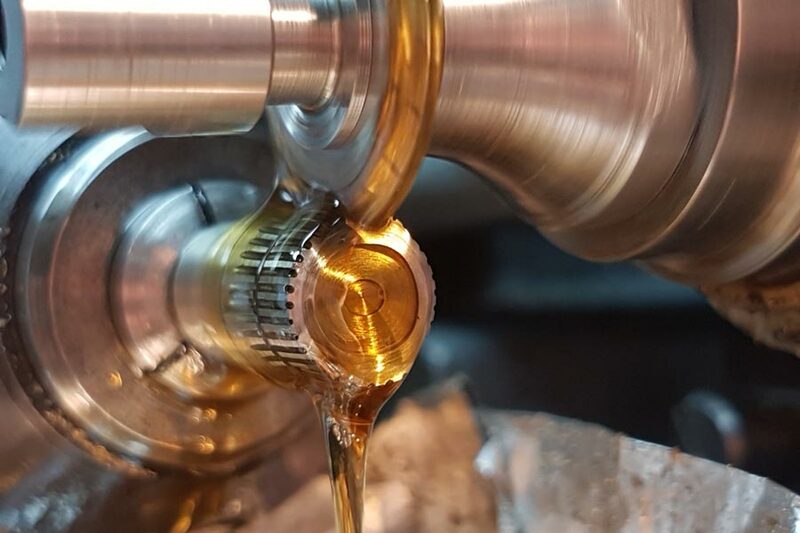 In his atelier, you will find one CNC machine that he bought from the money he got for his Porsche, which he sold specifically for this purpose! 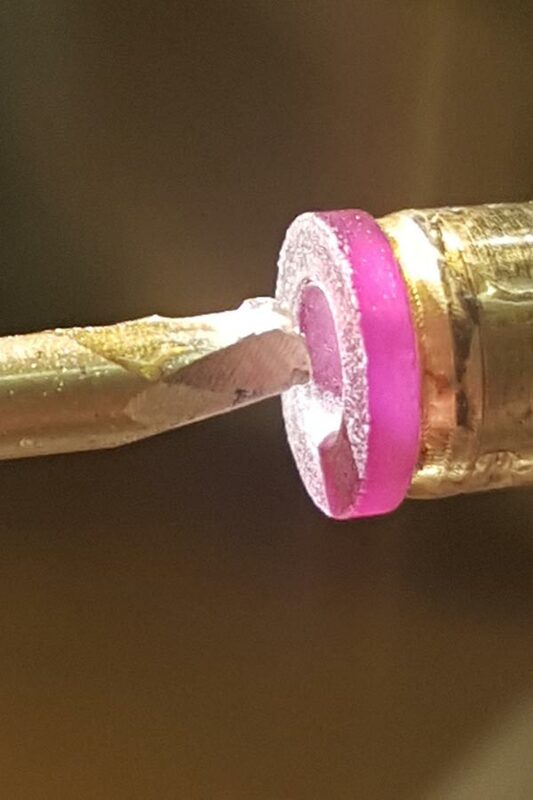 He even makes jewels to the exact size, drills the hole, polishes them, so no ready-made rubies, but again… entirely done by hand. 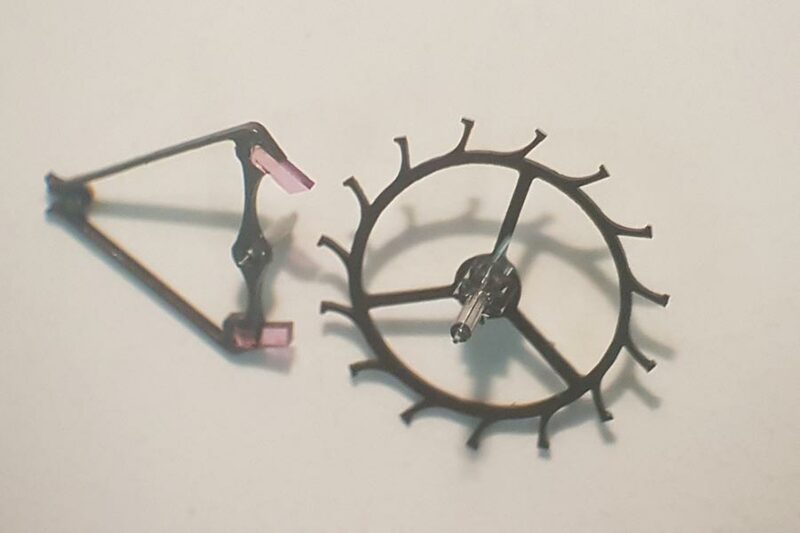 The crystal, the leather strap, the mainspring, and balance spring are produced by others, all the other parts are made in-house – by someone who used to be an IT consultant! 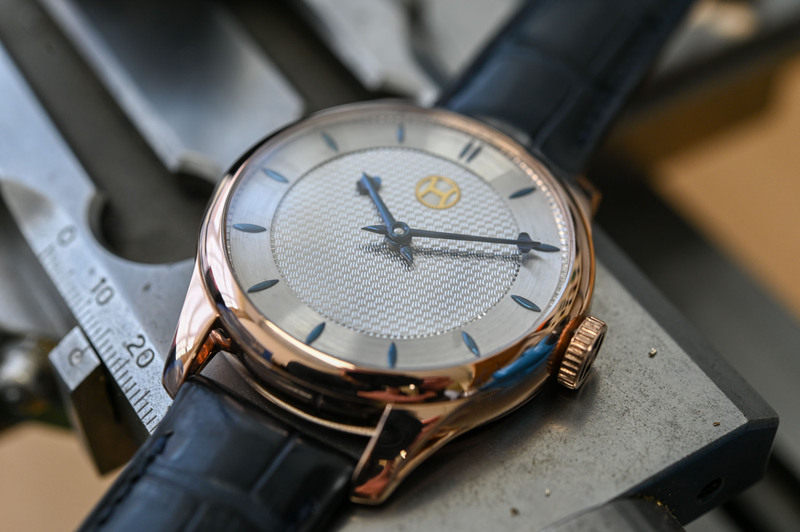 During the time that Machiel was working on this first watch, which he has actually just finished, he had some help from an experienced watchmaker and a clock restorer. And in the meantime, he developed his own lever, simply because he thought the forces in the normal lever aren’t distributed optimally. His self-designed lever, with a triangular shape, offers more stiffness and is less prone to deformation. Hulsman ancre and escape wheel. 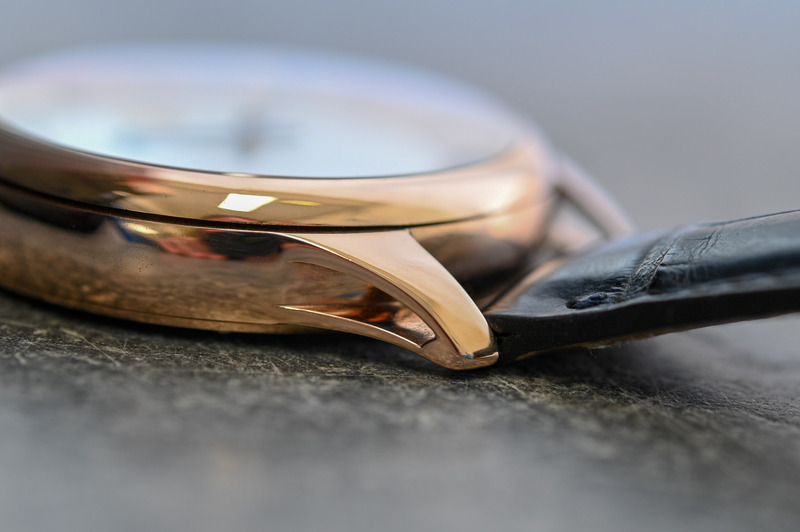 The aim was never about creating the first watch entirely made in the Netherlands, but during his five-year work on the Marie-Elise, he discovered that there had never been another Dutch-made wristwatch. 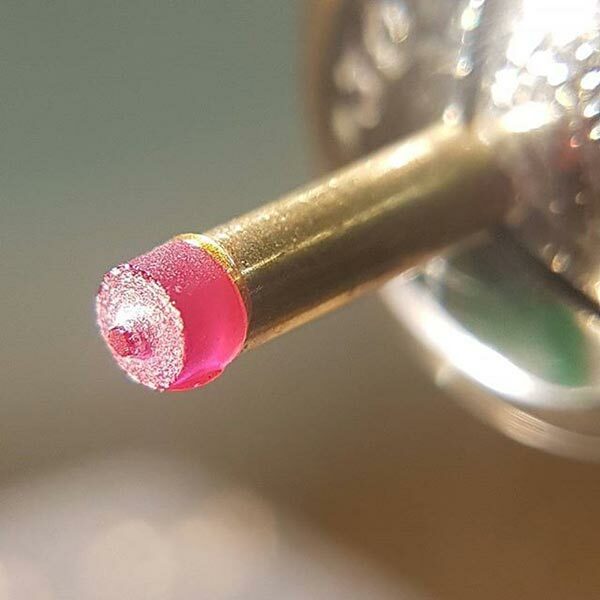 Sure, many parts like the astronomical modules from Christiaan van der Klaauw are made in his own atelier, and several brands do the simple assembly in-house, meaning actually the encasing. 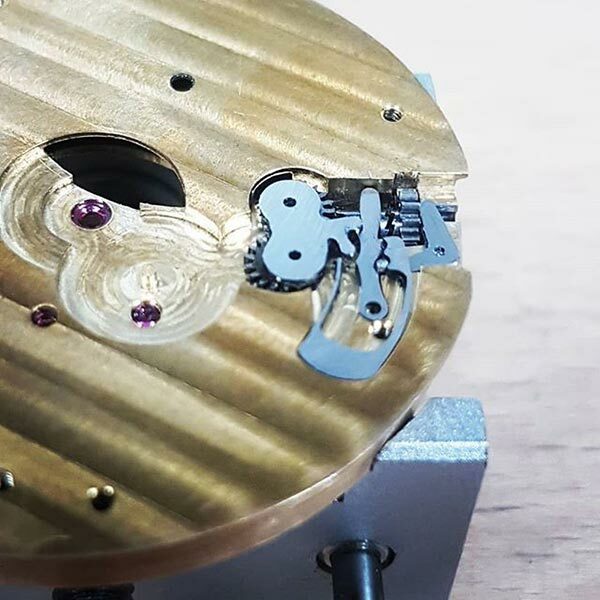 Or like Grönefeld, the movement parts are made by an external company, but the (spectacular) hand-finishing and assembly of the entire movement (all several hundreds of pieces per calibre) is done in-house. The ‘odyssey’ undertaken by Hulsman over the past five years has been intense! Trial and error, often not having a clue how to start making a specific part. Trying to find information online, but actually finding out that the only good info is available in old watchmaking books. Or for instance, the art of hand-made guilloché dials… Machiel had the opportunity to learn how to make a guilloché dial in the atelier of befriended watchmaker Kalle Slaap (click here for his website) and after weeks and weeks of training, he started designing and ultimately creating the guilloché dial for his own watch. 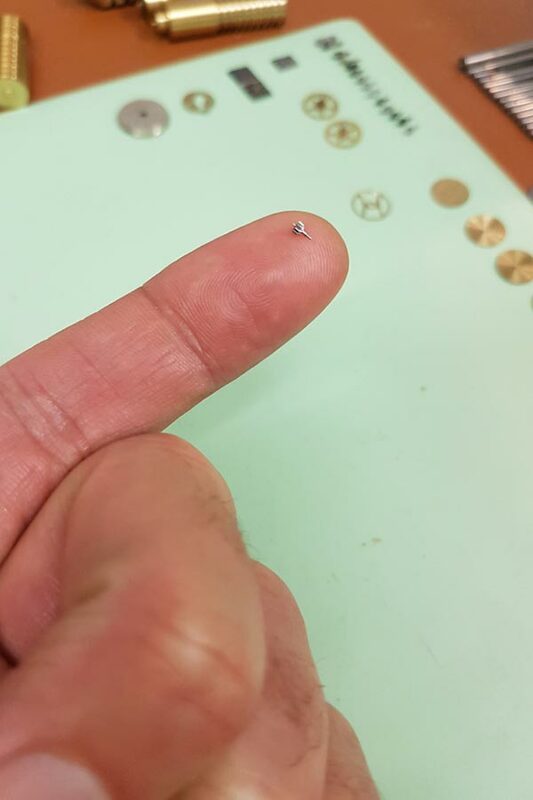 By the time Machiel finished the dial, he sent it for a rhodium treatment, and they managed to ruin the dial, so weeks and weeks of work down the drain and he had to start all over again. 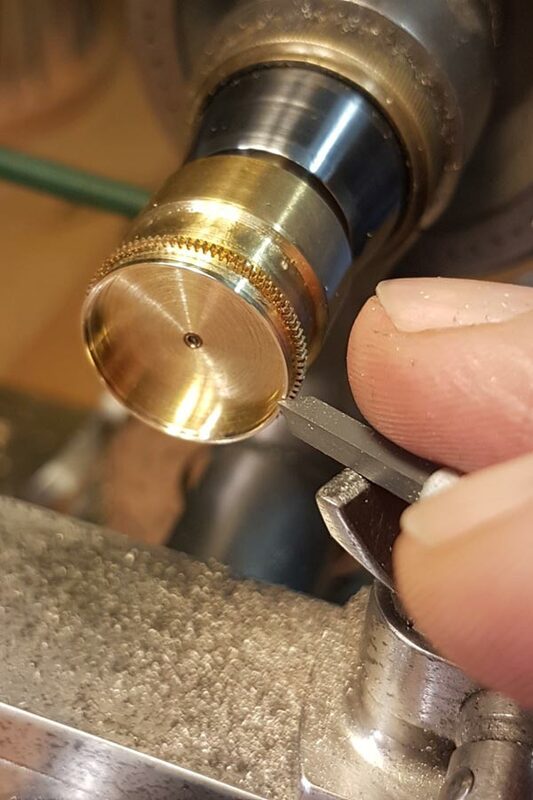 Cutting jewels, machining wheels, cutting teeth, polishing wheels, crafting the tiniest screws and polishing the screw head and the slot for the screwdriver, machining complex parts like the sliding pinion of the keyless works, and of course decorations like black polishing, circular graining, and Geneva stripes… all done in-house. 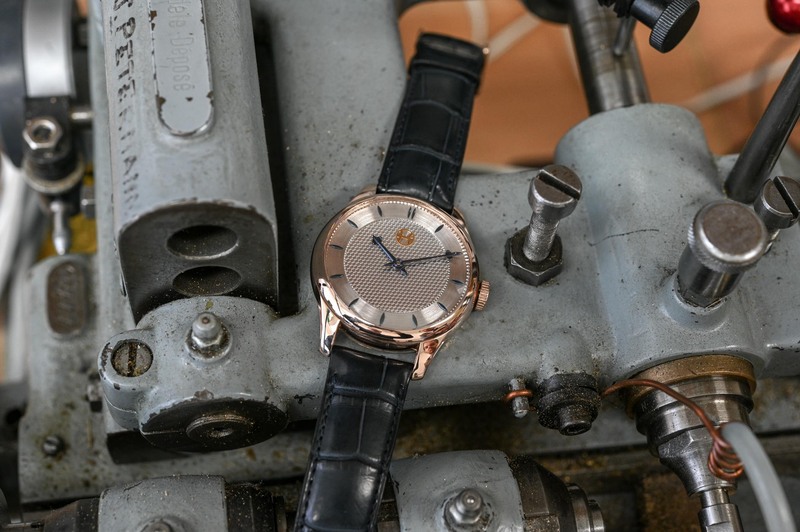 I can clearly remember Roger Smith talking about making a watch from scratch and doing pretty much everything in-house, by hand and with the help of (often) old machinery. I remember being in total awe after Roger’s presentation (at a collector’s dinner, many, many years ago.) This is as good as it gets. The entire design of the watch, so not just the movement, but also the case, dial, hour markers, hands, etc. is also the work of Machiel. Machiel wants to keep on making watches, but now also for clients. His first watch took him five years, but this included an incredibly steep (and mighty impressive) learning curve. The next timepiece won’t take that much time, but a fair ‘gestimate’ is one year. Depending of course on the number of complications the client wants to see in his future one-off, 100% bespoke timepiece. By making his own watch, Machiel now knows how to create a watch from scratch. Not only how to make all the parts in-house, to finish all the parts, decorate them and assemble them to become a functioning watch. 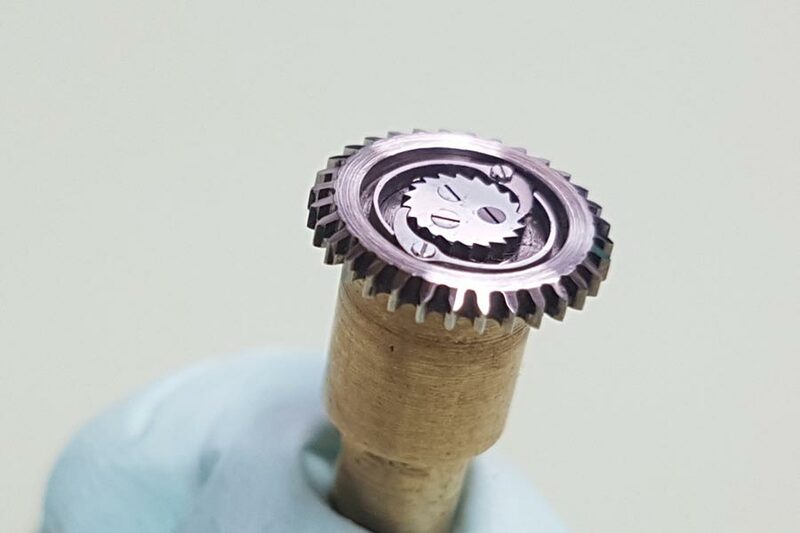 He also learned how to design the parts, to calculate the gears, the teeth of each gear, the exact shape of the teeth (in order to optimize performance) and well… everything. 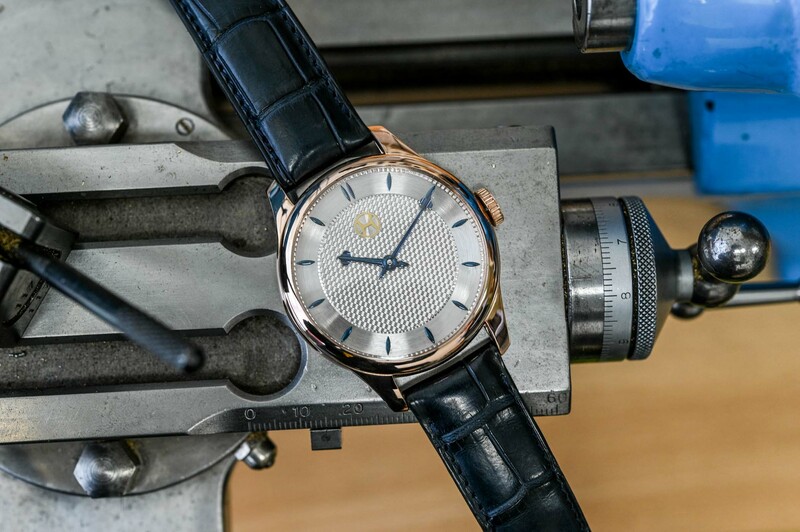 His next aim is to find a client who wants to embark on a journey with Machiel to create a truly bespoke timepiece. 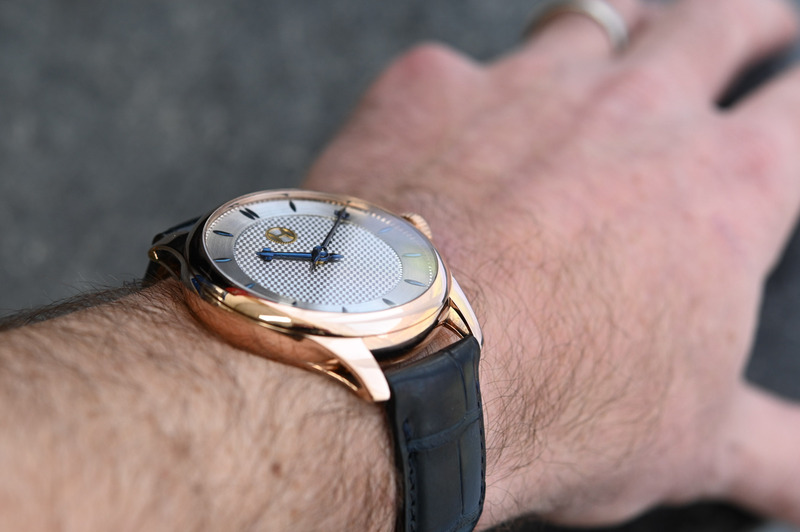 The client can go for a ‘simple’ three-hander with a hand-wound movement, or maybe he prefers a tourbillon? Or a moon phase indication, maybe even a 3D moon, or a perpetual calendar function? Even the design of the case, dial, hands, hour markers is all up to the client and it doesn’t have to look like Machiel’s first wristwatch. You want something sporty, or very classic, or more modern? It’s entirely up to you. There are simply no limits to the options that the client has in co-creating his own timepiece. 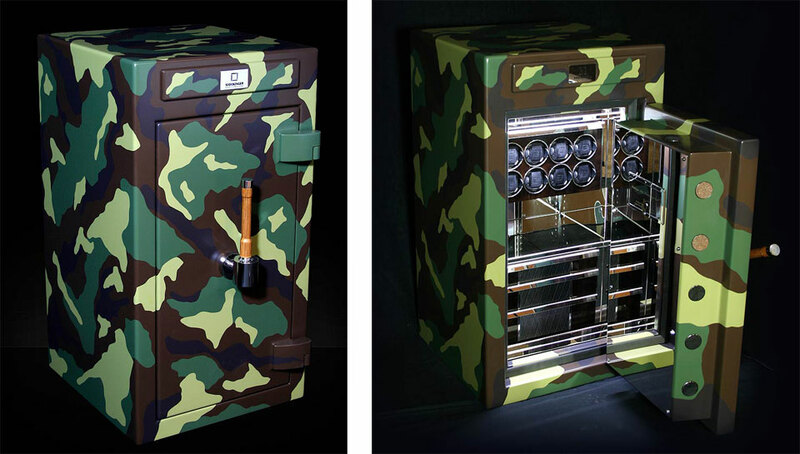 Really, you can’t find anything more bespoke than what Machiel offers. It’s a process that can easily take a year, and the client will be involved in all steps from the beginning to the end. 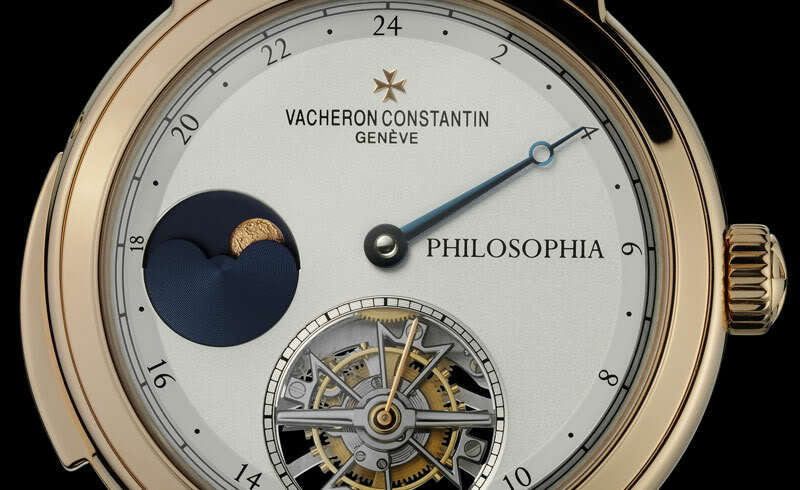 I cannot think of many others offering this level of customized watchmaking, except maybe Les Cabinotiers from Vacheron Constantin, although these watches will always look like a Vacheron. With Machiel, you decide the limits! If you’re interested in a 100% bespoke timepiece, you can contact Machiel through his website’s contact form. Take a look at Machiel Hulsman’s website for more information. The plate is CNC, so not handmade? I presume he’s now looking for an apprentice, if he hasn’t already got someone lined up. Simple and classy. Does not have the bling of some of the big expensive brands and that is a very good thing. Phenomenal achievement . 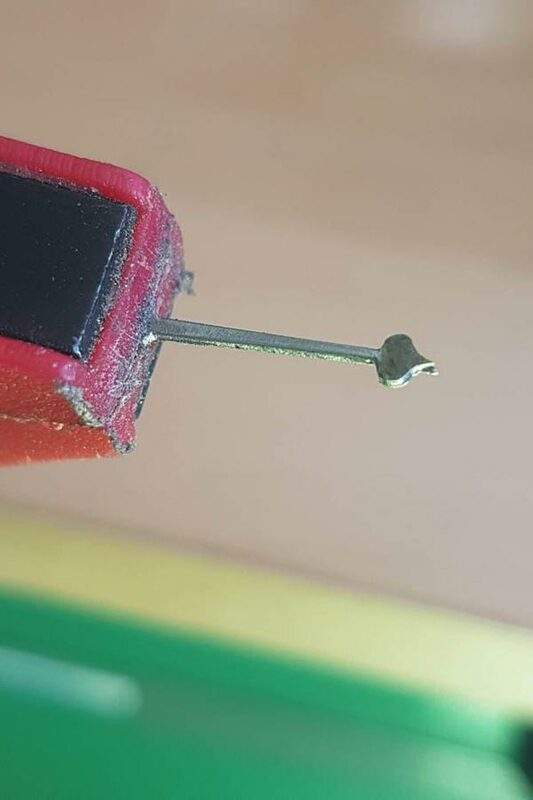 I think using a cnc machine for one part is neither here nor there (using a cnc machine is another skill to learn ).